This past week the Resorts Mobile Solutions Alliance hosted a webinar entitled “What is your Growth Strategy”. 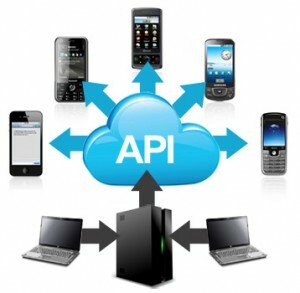 The underlying theme centered around the value of empowering mobile customer management solutions with greater availability of real time data via an industry standard Mobile API. RMSA founding members, the William Ryan Group, Inc, Acres 4.0, and Resorts Advantage, were joined by Peter DaRaedt, of Global Standards Association. John Acres of Acres 4.0 launched the webinar discussing the importance of behavioral data for driving the gaming player experience, and why “freeing data” is critical to support personalized experiences in the Casino and Resort industry segments. Peter DaRaedt, of GSA followed, discussing the open system standard approach GSA advocates, the corresponding benefits realized via open data standards, and agreeing a standard Mobile API is critical for real time action mobile deployments. Presenting for WRG, I outlined a Real Time Action™ growth strategy of correlating consumer-specific data to update current “chunky” industry metrics, and leveraging these updated measurements to deliver the targeted interactions customers appreciate. Brian finished by describing Resort Advantage’s experiences addressing the challenges of accessing operational data from legacy system vendors, and reviewing how a standard Mobile API could be positioned to empower real time mobile deployments. These are great examples of companies leading the deployment of Real Time Action™ solutions to optimize human experience management. It is also exciting that two disparate industry groups are cooperating to establish the Mobile API standards to empower new Real Time Action solutions in Resorts and Casinos! Feel free to check out this webinar and/or the RMSA website.